A charm bracelet and a bangle fell in love. 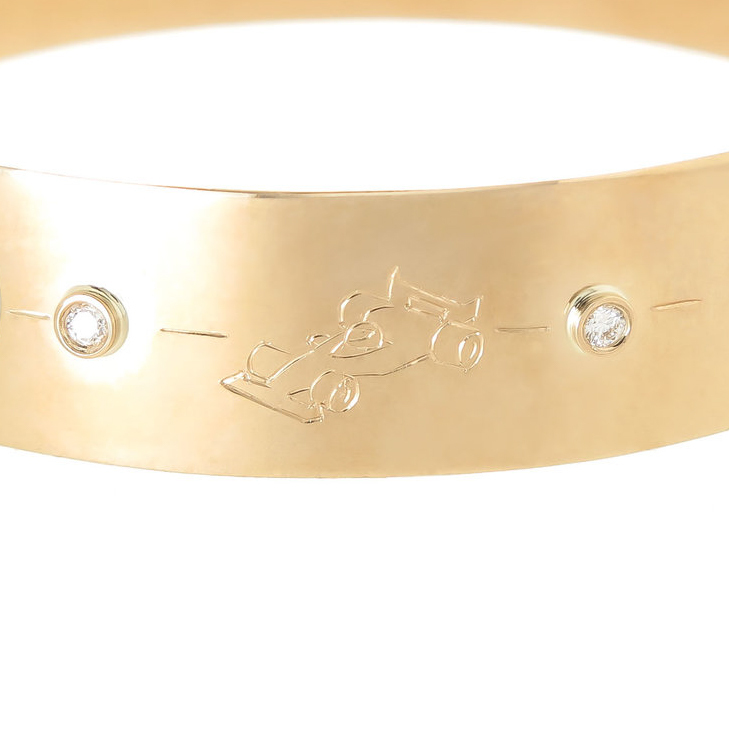 Customize The Life Bangle with hand-engraved images that represent you! I've always loved a good charm bracelet not only because they tell the story of one's life, but also because I have such a soft spot for things that are smaller than they're supposed to be (i.e. Nike's for babies). However, charm bracelets often aren't practical for everyday wear - which is why I also love a good, sleek bangle. They're versatile and effortless. In typical fashion, I've merged two of my favorite things into The Life Bangle. 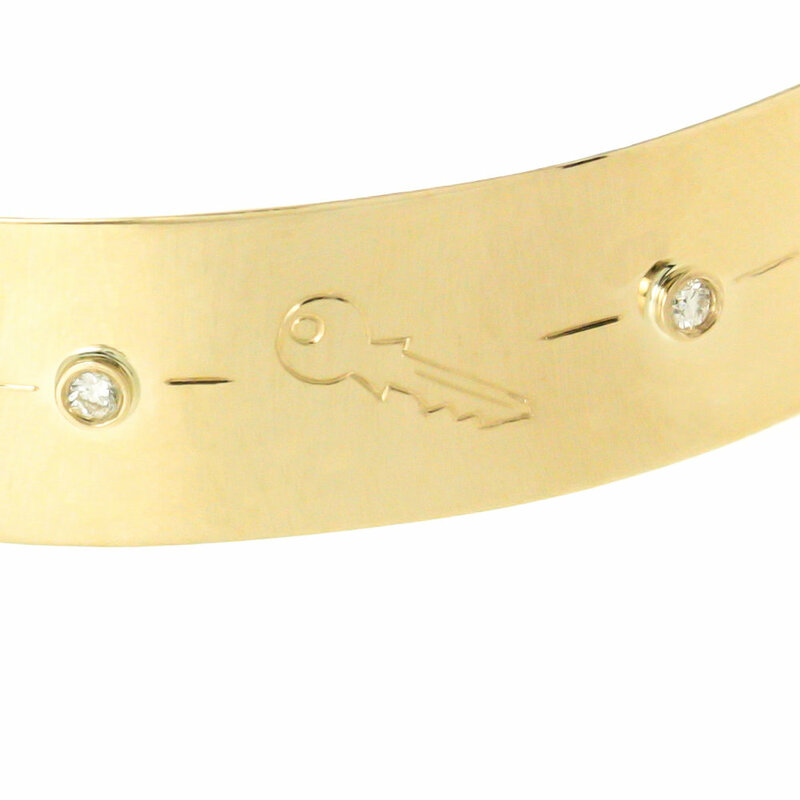 This highly custom bangle features hand-engraved images that are meaningful to your life and represent you! From the day I got Zoey for my 16th birthday, we were two peas in a pod. Between our mutual love of jelly beans, ice cream, and laying out in the sun, down to the fact that we share the same birthday, she will forever be my favorite shadow. We said goodbye to Zoey a few weeks ago, and it completely broke my heart. The very next day, my new Life Bangle happened to be ready from the engraver. It couldn't have come at a better time! I will always love my Zippy Dog and it makes me so happy to have a little reminder of her with me everyday. The dock will always be one of my favorite places on Earth. It's the location I always use for all of my personal pieces from the coordinates collection. Just thinking of the sound of the water against the dock gets me so excited for summer! This is one of my favorites because it reminds me of my family. My cousins first started calling me Key when they were very little. If you follow me on Instagram though, you know that Key has also morphed into Kiki and Keeks, a la my niece, Lottie. If you're bored, check my Instagram for hilarious videos of her and her huge personality. I swear it's the real reason people follow me! The 4th of July is second only to Christmas in my book. Now that I think about it though, I might like it more than Christmas?? I don't know... it's a toss up. But I'm a sucker for anything red, white, blue, and Americana. It's the reason I started this company and no explanation would give this place justice... So I'm not even going to try! I grew up in Carmel, IN just outside of Indianapolis. I absolutely love it there and will always consider it home. I chose the race car to represent Indy in general because, while going to the 500 is one of my favorite traditions, it's also just a great excuse to go home! This one is pretty obvious. I spend SO much time with jewelry everyday! But my favorite part of being in the industry is definitely the people. When I first started, I had no idea that I would make lifelong friends along the way! Alma mater? Children's initials? The possibilities are endless! CONTACT ME TO START YOURS!